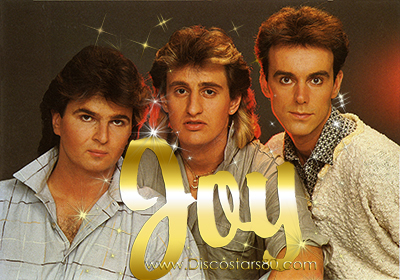 The band Joy was formed in a small Austrian town of Bad Aussee with the population of 7500 citizens. 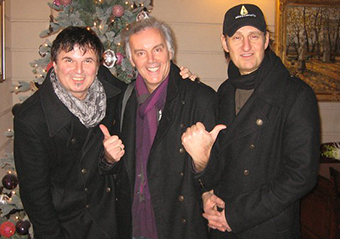 Freddy Jaklitsch (born on 22.01.60), Manfred Temmel (25.02.59) and Andy Schweitzer were schoolfriends, but after the graduation all three chose different careers. 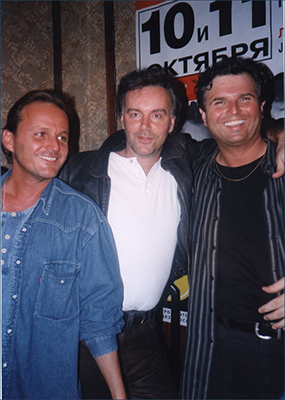 Freddy became German teacher in school, Manfred - a DJ, and Andy was serving in police. Somehow they met again in 1984 and founded a band "Joy". Their first single "Lost In Hong Kong" came to the light in February 1985. It wasn't a big hit, but the new band deserved mentioning in press. And that wasn't in vain - their next single "Touch By Touch" (September 1985) immediately reached European Top 20 Dance Charts. This song already had all the features which became visitcard of the band. The first album of the band entitled "Hello" spent five weeks on the first position in several charts. That brought world-wide popularity to the band with their albums sold in more than 30 countries. In the summer of 1986 Joy returned to their studio to record the second album "Joy And Tears".The most successfull song on this album is "Japanese Girls". Probably because of this song Joy obtained big popularity in Asia. Their concert tour of 1987 collected 60 thousand spectators in total. In Seoul they were performing before 20000 stadium Jam Silna. After that concert Joy has become the all-times favourite band in South Korea. Meanwhile concert activity was accompanied by releasing the compilation of best songs from first two albums. It has also appeared under the label OK-Musica. During the next year Joy gave a series of concerts in America and upon return to Europe performed in Germany, Portugal and Italy. Shortly after that (in 1989) keyboardist and co-producer of majority Joy songs Andy Schweitzer left the band to start the solo career. However he was given a permission to use the original name "Joy" for recording the whole album on his own. This album was released by different companies under the different titles - either "She's Dancing Alone" or "Joy - 3rd". Its style differs sufficiently from original albums - the music is definitely more peaceful, less grooving and driving-on. During the following years of rap and techno boom in Europe Joy didn't found its place on the stage. However, with the return to life of melodic songs "Best of Joy " was re-released in 1992. In 1994 two members of the original Joy (Freddy and Manfred) published on BMG a new single called "Hello, Mrs. Johnson". 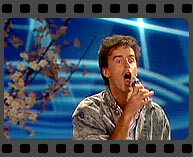 After that, having invited a new keyboardist, they release one more single in 1995 - Felicidad. This time the song is devoted not to Chinese or Japanese girls, but a mysterious Spaniard. The name of new member of the band is Johannes Groebl (born 30.01.60). Though being not as tall as the rest of the band, Johannes is no less outstanding personality. His hobbies include buddism, and according to unofficial sources of information he has extraordinary healing abilities. In 1996 the whole album was recorded at BMG. It includes 12 songs. Unfortunately for unknown reasons the CDs were never printed, and the contract with BMG has recently expired. This album was available only on promo cassete. Later this album in short version was released under name "Full of Joy" as bootleg CD in Russia.